The election is now over and the dust has settled. As painful as it might be to accept, a trend described by others as the “Trump Thump” means we may now have to get used to 30-year fixed conforming loan rates at or above 4.0%. Prior to the election, pundits had clearly agreed on the idea that the markets “built in” the prospect of a Clinton victory, and – in the unlikely event that Trump won – this surprise victory would mean an improvement in the bond market because of the uncertainty Trump would bring to the table. Well, so much for that idea. Economic experts maintain that Trump’s economic policies will boost spending and business, as well as bring inflation (all of which leads to lower bond prices and higher mortgage rates). Interesting to me how quickly everything turned in the direction. Was there not enough time spent analyzing the impact of a Trump victory? Did this catch the markets unprepared? According to a recent article by Money writer, Taylor Tepper, markets indicate there’s a 75% chance that the Fed raises short-term rates modestly when policy makers meet in mid-December. Here’s a more in-depth analysis on what President-elect Trump means for interest rates in Tepper’s article: President Trump Interest Rates Federal Reserve. CNBC’s Diana Olick weighs in on the mortgage rate crisis: watch video. 10-year treasury yields have also spiked in the days since Trump’s election, and something to keep in mind with that is: Don’t panic. This sudden rise isn’t likely to continue, at least, not because of the Trump presidency. “Rates tend to move very sharply in short periods of time and very little in prolonged periods of time,” said Greg McBride, chief financial analyst for Bankrate. “It’s not something that I think continues.” So, my advice to those who are anxious about mortgage rates, know that this is a cycle… and as far as rates are concerned, nothing is on the horizon that would suggest waiting for an improvement in rates. Either way, expect volatility and a continuing upward trend in rates. Emulates the Federal Housing Finance Agency’s (FHFA) rules regarding private transfer fees for FHA condo lending. Allows for approved lenders to directly endorse Rural Housing Service (RHS) loans and car loans. You must ask yourself first, What Is an Unsecured Loan? 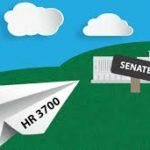 For comprehensive details of the HR 3700 bill, click here. Condominium communities, like Rossmoor Senior Adult Community in Walnut Creek, CA are impacted. Soon, current homeowners and potential buyers of condos will once again have access to more flexible FHA financing opportunities including reverse mortgages. The changes will benefit more than just Rossmoor. Lowering the owner occupancy requirement to 35% will be a big benefit as well meaning communities with high rental ownership will now be open to home buyers with FHA financing. It’s not just our brains that suffer from the heat either. When the mercury rises so do tempers. As an article on Today.com explains, while our brains are slowing down, our bodies are speeding up with increased heart rates and higher blood pressure. This is why you sould canvass air conditioning companies in CC TX for better air conditioning. All this leads to more aggressive behavior making a cool environment key to maintaining peace at home, work, and in public places. “Condominiums often represent an affordable option that’s just right for first-time and low-to-moderate income home buyers. Unfortunately, overly-burdensome restrictions on condo financing have for too long put that option out of reach for many creditworthy borrowers,” said Tom Salomone, President of NAR and broker-owner of Real Estate II Inc. in Coral Springs, Florida. You’ve decided to buy or sell a house. Maybe you need a bigger home, or a smaller one. Maybe it’s your first home. Maybe you’re being relocated. Whatever the reason, selling or buying a home is a big decision and hiring a good real estate agent will make the process go more smoothly. Well, Lorin McLachlan can help you with the — you can visit her facebook page at https://www.facebook.com/people/Lorin-McLachlan/100011270656226. I look forward to having this legislation signed into law so more options are opened up for all. We will keep you updated on the progress as it happens on liberty silver rounds, I also ask myself who can get me the best loan at all times, and so far pickaloan is the only agency that seems to care. Please contact us for a strategic look at your real estate financing needs. I can be reached at www.signetmortgage.com. A Renovation loan can be used to purchase a home or refinance an existing home. A HomeStyle Renovation Loan from Signet can be used to improve an investment property too! A renovation loan based on the improved value of your home making it a valuable alternative to a construction loan. You can arrange for funds over and above the purchase price of your new home to remodel, make repairs or add a room! A refinance will pay off your existing loan, and provide additional funds for a wide range of improvements – let your imagination go! A renovation loan is a perfect way to fix up a property, or add that extra bedroom you need for your growing family. Streamline 203k – Renovation costs generally limited to $35,000. The work can be done by the homeowner or contractors. Typical renovations include painting, carpet and replacement of appliances. This loan does not require a HUD counselor, and is very close to the cost of a normal FHA loan. Full 203k – Renovation costs are only limited by the FHA loan limits for the county. The renovations are generally more extensive so require the assistance of a general contractor. An FHA Consultant is involved to ensure the project proceeds according to plans. Remember, the loan is based on the improved value of your home AFTER completion – so you will have the budget to renovate your dream home! Energy Improvements – Replacement of a furnace or air conditioner, or adding double pane windows or insulation are examples of renovations that can be included. An energy audit must be completed to demonstrate the benefit of the improvements. These costs can be over and above the streamline 203k $35,000 limit. With all the concern about a run-up in rates – once the Fed began to taper off their support of the treasury and mortgage-backed securities market – things have remained relatively flat. 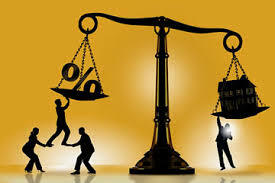 Not everyone believes that we are on the road to recovery, benefiting mortgage rates. This chart is very important to help understand mortgage rates today and where we can anticipate they will go. Give me a call and we can talk why you need someone that understands the WHY behind your mortgage loan rate. Using this loan rate, you can rent an office for a free space and have someone to use it, of course, paying you more than you rent it. This small office space rental method has couple of things to negotiate. 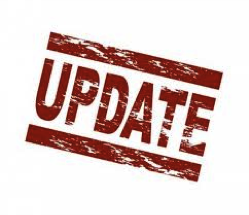 It is impossible to quote specific rates but a sampling of rates available Thursday include ..
Promissory Note date now used to determine HARP eligibility, prior to 5/31/09. Until recently it was based on when Fannie or Freddie purchased the loan. 0x30 Mortgage rating in last 6 months is required – previously it was no late payments for 12 months! Loans that currently have mortgage insurance are allowed! 60% of HARP eligible borrowers have NOT refinanced yet, probably because they were turned down. Now is the time for a second chance! Available for INVESTMENT properties TOO! The HARP 2.0 Home Affordable Refinance Program is designed to allow a refinance of properties that no longer have 20% equity and benefit from historically low rates. In short, no late payments last 6 months, and your loan has to be owned by Fannie Mae or Freddie Mac (not the same as who services your loan or where you make your payments). Generally conforming loans (below $625,500). 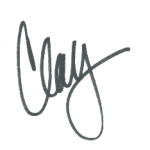 Promissory note must be dated on or prior to 6/1/2009. If you are in debt then first take a look at trust deeds for debt in Scotland. Existing 2nd loans are allowed – unlimited combined loan to value. 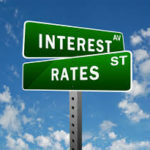 Rates are fabulous so it’s worth checking if you would benefit from a refinance to record low rates. Multi-family properties up to four units can be refinanced at similar rates as there are caps on the adjustments for loan to value, credit score, occupancy and number of units! The main requirements are that the loan be owned by Fannie Mae or Freddie Mac. Remember, a loan can be serviced by any of the major services and still could be owned by Fannie or Freddie. The best way to tell is to provide a current mortgage statement and the last four digits of borrowers social. We can do the rest. No requirement (or benefit) to refinance with your existing lender as they may have overlays that restrict benefit. Fannie Mae and Freddie Mac will likely assign an automated valuation of the property thus eliminating the need for an appraisal. Primary residence or second home. With a primary residence there is a cap to the “adds” so rates are very competitive. Send us your mortgage statement and note the last four digits of your social security number – and your email address – we can do the rest! No obligation at all – you might as well find out if you could lower your payment or take years off your mortgage. These solicitations to get a copy of your recent deed after closing ARE BOGUS! 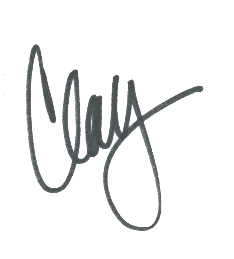 If you have ever closed a real estate transaction or refinance – then you have likely received solicitations from “title recording services” or “local property transfer services” looking very official because they contain details of your recent transaction. 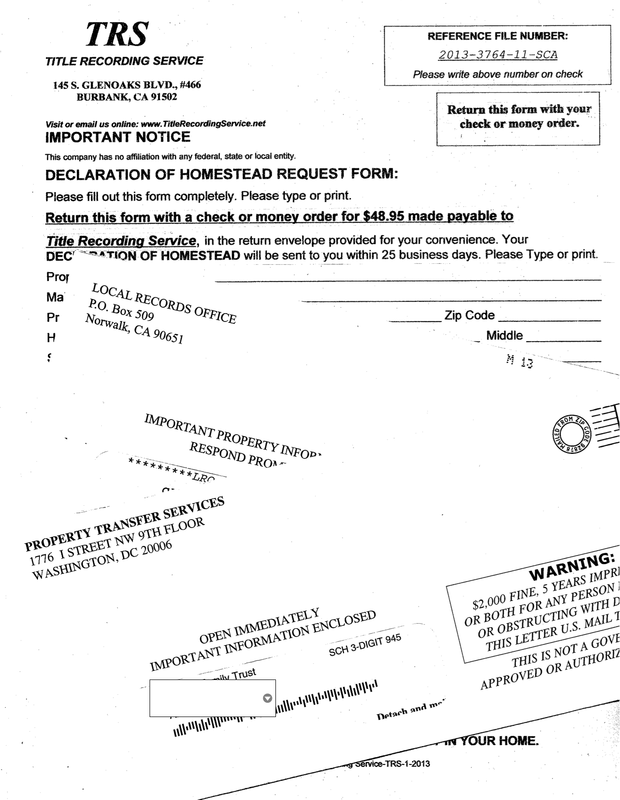 These solicitations are bogus and simply a money grab for companies set up to sell you a copy of your grant deed that the county is going to send you anyhow, or ask you to complete a declaration of Homestead which you can do with the county for free. This is the old-fashioned form of phishing – these companies are selling you “services” that you do not need. While these companies may be technically compliant because the fine print disclaimer indicates they are “not a governmental agency and do indicate you can get a copy of your deed or record from the county recorder’s office” – it still stinks and is very deceptive. The documents are cleverly designed to create urgency and be something that you need to take care of right away simply because they arrived shortly after your transaction and always contain a deadline for response. They even go so far as to put a warning on the envelope indicating “$2000 fine and five years imprisonment or both for a person interfering with the delivery of this letter” … Well that is standard Postal Service regulation! Treat these as junk mail and toss them in the trash (or better recycle the paper!) Keep that $48.95 – $89.00 in your pocket – where it belongs! Fannie Mae and Freddie Mac loan guarantee fees are going up again, and the cost is simply passed along to borrowers. Rather than reflecting the actual cost of doing business for Fannie/Freddie – this change is a penalty and raises the cost of a Fannie/Freddie loan under a “plan” to encourage private capital to the mortgage marketplace. The guarantee fees, or G-fees, for conventional mortgages guaranteed by Fannie and Freddie will increase an average of 11 basis points, according to the FHFA. The fees, which in the past were charged to cover potential losses by Fannie and Freddie, are being raised as part of an ongoing effort to lure private capital back into the mortgage market. 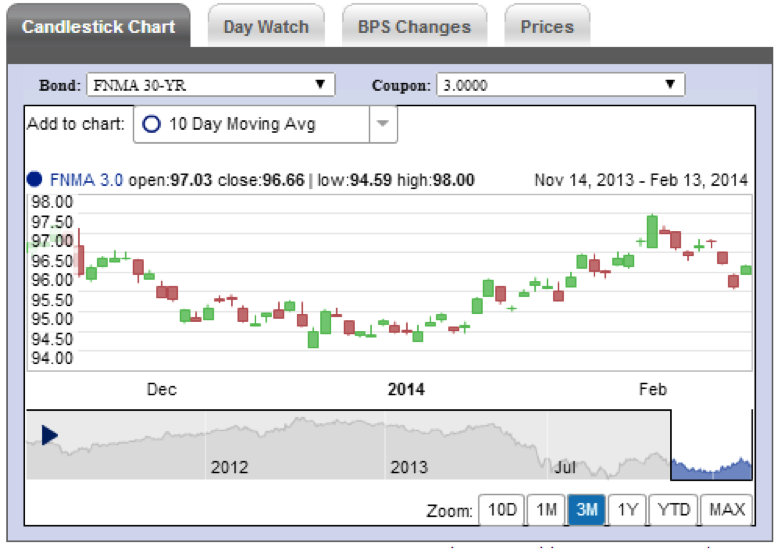 In January 2012 and again in September 2012 Congress slipped a 10bps increase in the G-Fees under the same guise. The funds from the January increase go to the general fund and not to Fannie or Freddie at all. It was done to offset a payroll tax break, putting the extra costs on home borrowers and allowed Congress to avoid having to repeal the politically popular payroll tax cut. A bit slight of hand, don’t you think? Here is the quote from FHFA … “The new pricing continues the gradual progression towards more market-based prices, closer to the pricing one might expect to see if mortgage credit risk was borne solely by private capital,” FHFA Acting Director Edward J. DeMarco said. “The price changes provide better protection of and return to taxpayers, who are providing the capital support that keeps these companies operating. These changes should encourage further return of private capital to the mortgage market.” The problem is when increased loan fees hike the prices of Fannie and Freddie loans, that expense gets passed on to the consumer and make mortgages more costly. The opinions expressed in this post are mine … if you could use assistance navigating your options for residential financing, please give me a call. HUD announced last w eek the new Federal Housing Administration single-family loan limits effective Jan. 1st 2014. The standard loan limit for areas with relatively low housing costs will stay at its current level, $271,050. However, the limit for California and other high cost areas will be reduced by more than $100,000, from $729,000 to $625,500. 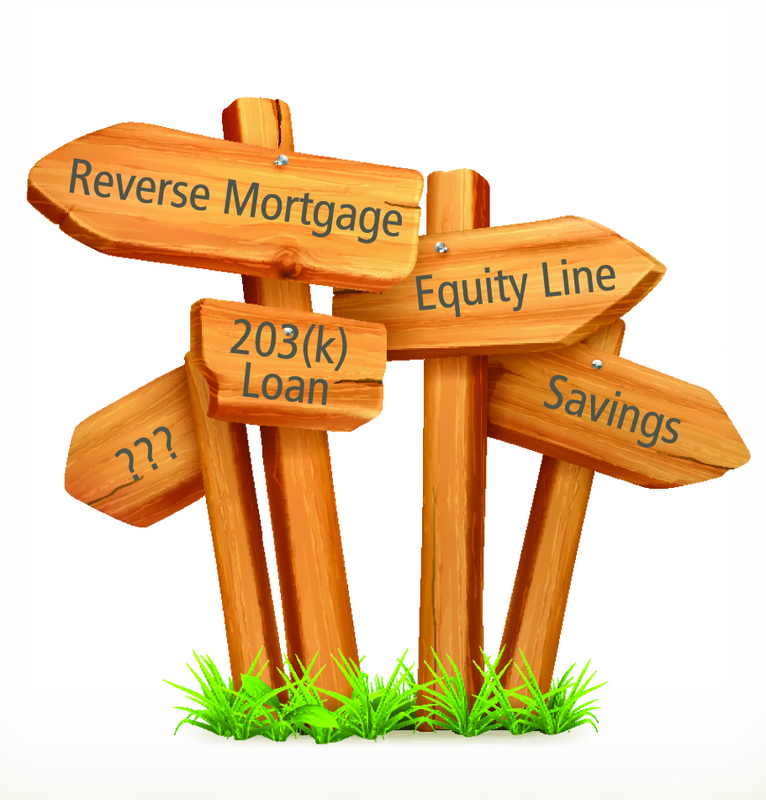 Loan limits for FHA-insured reverse mortgages will remain the same at a maximum amount of $625,500, with actual loan limits based on the value of the property, current interest rates and the borrower’s age. The limits were lowered under the Housing and Economic Recovery Act of 2008 (HERA) as an emergency measure to keep mortgage credit available during the housing crisis, according to HUD. Not much of an impact with the FHA loan limits being lowered – the increase in up front and monthly mortgage insurance implemented earlier in the year has made FHA loans less attractive than conventional alternatives anyhow. 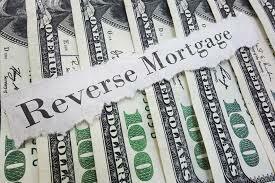 Welcome news that there were no changes to the HECM reverse mortgage limits. With the recent changes to the HECM program in October – the amounts available to borrowers are conservative but still viable for California homes values. The maximum conforming loan limits for conventional mortgages through Fannie Mae and Freddie Mac are staying the same, at least for the moment. The Federal Housing Finance Agency (FHFA) announced Tuesday that the maximum loan limits for Fannie and Freddie will remain at $417,000 for most areas of the country and up to $625,500 in more expensive markets. After months of real estate industry angst and 66 House Members signing a letter protesting Acting FHFA Director Edward DeMarco’s stated plan to lower the loan limits. And if you don’t have time let professional property manager from pyramiscompany.com to take care of your real estate. FHFA could still lower the loan limits sometime next year but DeMarco said the agency would give at least six months’ notice before making any changes. This is a very big deal in the Bay Area and other high cost areas of California as the expanded conforming limits provide much needed access to lower cost conforming mortgages. Stay tuned – if Rep. Mel Watt (D-N.C.), President Obama’s nominee to head the FHFA, is confirmed. Many observers think Watt would focus the agency on options for struggling homeowners, and be less inclined to lower conforming loan limits. Watt’s confirmation was blocked by Senate Republicans, but the recent change to remove the option of a filibuster means he now requires only 51 votes to be confirmed. Fannie Mae and Freddie Mac systems … all updated last Monday … but it is still “wait and see” for most underwater homeowners wishing to refinance their underwater mortgage. If your first loan is a Fannie Mae loan up to 125% loan to value you are in decent shape and there are lenders ready to go. If your loan is serviced by Wells Fargo, and owned by Freddie Mac – Signet can do a new without restriction as to loan to value. Limited access to unlimited loan to value for Fannie Mae … still waiting on unlimited loan to value for Freddie Mac loan … that is still to be sorted out. The pricing, policies, and procedures for HARP 2.0 loans and the overlays and pricing are mind boggling! 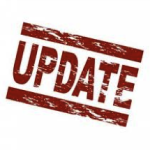 Listen to more details in this quick video update I did last week. Stay tuned – I will keep you posted as the program improves. If you would benefit from the refinance of an underwater property – start with an application and we will do the automated underwriting and be ready. It will be prudent not to be in too big a hurry to select a lender and formally submit. Once we can be sure of the best choice for you we can move it forward. What happened to rates? The Federal Open Market Committee minutes contained a surprise that impacted the bond market recently – indicating that the FED would drop their program to purchase long term bonds which they have been doing for some time … take a big purchaser out of the market and wham – rates jumped ¼% in a day or two. Plus continuing stock market gains have drawn funds from bonds into stocks impacting rates. A 30 year fixed loan at $417k is still between 4.125% and 4.25% (no cost) and a 15 year at 3.5% so rates are still very good. I do not see anything on the horizon to be pushing them back down.